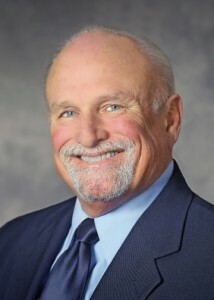 Jim DeMartini has practiced law in the County of Sonoma since 1977. After thirteen years of commuting to Santa Rosa as a partner in the law firm of Stark, DeMartini & Curry, Jim moved his practice full time to his Cloverdale office in 1990. Jim is a past Chairman of the Cloverdale Chamber of Commerce, the Cloverdale Economic Development Commission, the City of Cloverdale Citizens’ Plan Review Committee, and the Cloverdale Unified School District Student Attendance Review Board (SARB). He has served on the Cloverdale Planning Commission, sitting as its Chairman for six years. He is a Board Member, and past Board Chairman, of the Cloverdale Health Care District as well as a current member of the Cloverdale Senior Center, Board of Directors. Jim is a Member, and past President, of the Rotary Club of Cloverdale. He has been a Member and President of the Century Lions Club of Cloverdale. He is a Member of the Cloverdale Druids. He is a Past President of the Sonoma County Bar Association Executive Board, , having served as the Association’s Secretary and Treasurer. Jim is the recipient of the 2017 “Spirit of Sonoma Award” given by the Sonoma County Economic Development Board. Over the last three decades Jim has supervised the incorporation of many of Cloverdale’s non-profit organizations, including the Cloverdale Boys and Girls Club, Cloverdale Historical Society, Cloverdale Volunteer Fire Fighters Association, Cloverdale Rotary Foundation, American Legion Gun Club, and the Cloverdale Wine and Visitors Center. Away from the office, Jim enjoys hunting waterfowl and deer, fishing offshore in his boat, scuba diving, abalone and lobster diving, doing the cooking for his family and …of course…golf. Jim is the songwriter and bass player for Court ‘n’ Disaster, a “rockytonk” band comprised of a Superior Court Judge, three trial lawyers, and other members of the Sonoma County legal community. The band’s CD, “Guilty as Charged” is available on line. He is also the string bass player for the Healdsburg Community Band and his jazz trio, Vantini.